Situated at the end of a quiet wooded road, this project was designed to provide comfort, accessibility and a variety of spatial experiences for it user. All main living spaces, including the master suite, are located on the main level, while additional recreational and lounge spaces are provided for with a loft and full daylight basement. A south facing facade captures plenty of sunlight in the cold winter months, and the roof houses a solar array that accounts for a large percentage of the house's electricity usage. The resident has been in a wheelchair for the past 20+ years of his life, so ease of movement was key to the design. A generously wide corridor runs the length of the house with all program elements attached to it, providing one means to access all spaces in the house. 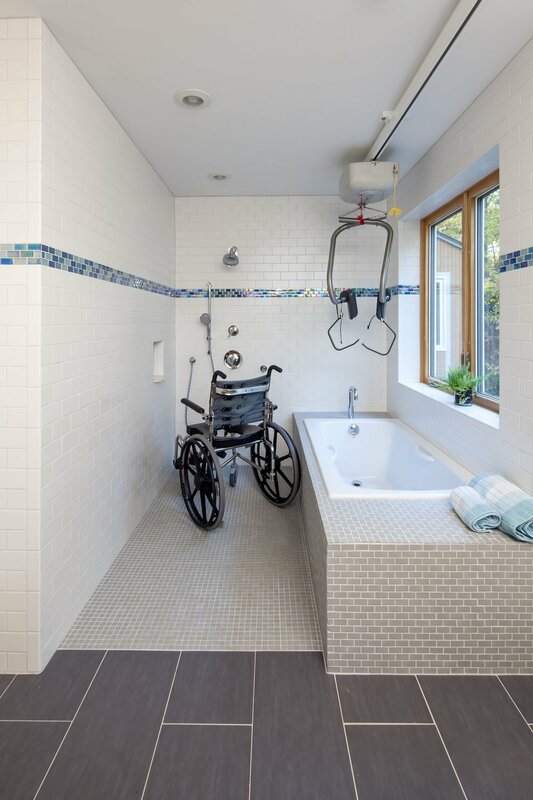 The master bedroom includes a ceiling track that helps transfer the user from his bed to the bathroom or tub and the roll in shower allows for easy maneuvering in a wheelchair. 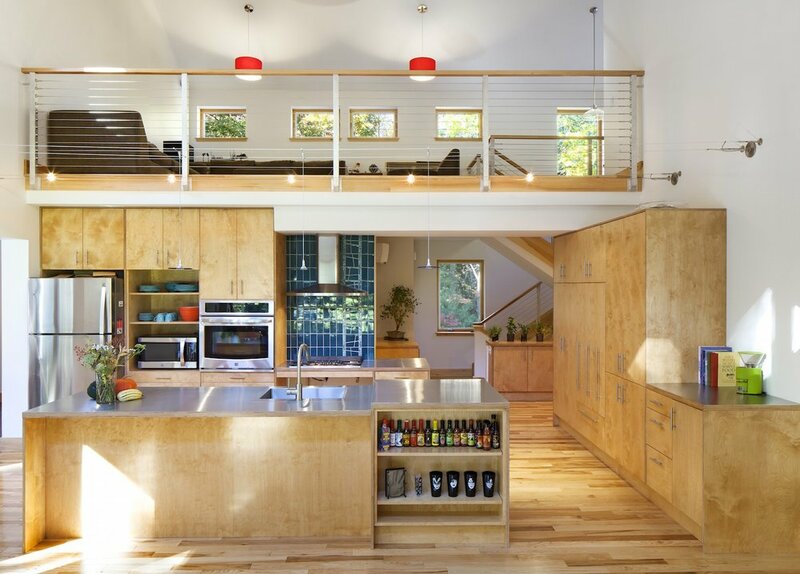 The kitchen is designed for users of multiple abilities to enjoy cooking with counters at varying heights and open space below the sink and stove. 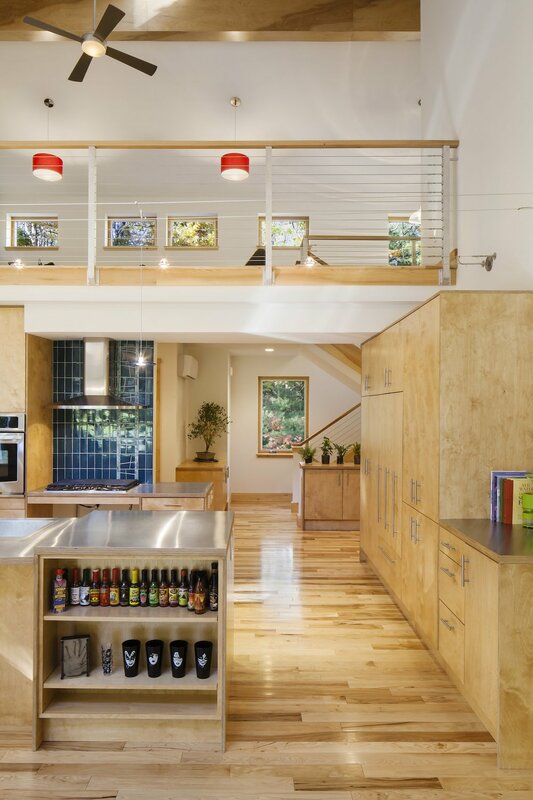 Bright whites and natural woods are used on the interior to create lightness, while stained wood and warm grays are used at the exterior to create harmony with the wooded surroundings. Structural Engineering: Nate Merrill, P.E.